What Does Your Pediatric Dentist in Commerce City Look For? Your child’s dental health can have an impact on his or her entire life. You don’t want to leave anything to chance! 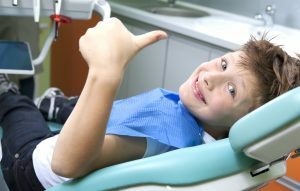 When you bring your young one to your pediatric dentist in Commerce City, the dental care provider will do more than just perform a thorough cleaning. They’ll also carry out an exam that can identify problems with your child’s oral health — or even their overall health — before they become too serious. What exactly will the dentist look for? Children love sugar, and sugar loves to cause cavities. When you bring your child in for their twice-yearly cleaning and exam, the dentist will find any little cavities before they become big cavities. Then, they can fill those cavities to prevent further damage. Your dentist can also provide you and your child with advice on how to care for teeth to decrease the risk of cavities in the future. If your child’s teeth aren’t correctly aligned, or if their bite isn’t as it should be, this can cause problems later in life for your little one. Plus, while toddlers and elementary school children might not care if they have crooked teeth, they’re probably care big-time when they become teenagers. Your dentist can recommend braces or other treatments to get those pearly whites back on track. Kids are active little critters, and their go-go-go lifestyle could easily result in oral injury. Your child may have a cracked or chipped tooth. Getting these injuries repaired as soon as possible can prevent infection and perhaps even save your child’s pearly white from extraction. You might think of gum disease as being exclusive to adults, but that isn’t the case. Poor oral hygiene habits are the top cause of gingivitis, the initial stage of gum disease — and we all know that some kids take a while to adopt a good routine. Thankfully, when your kids’ dentist in Commerce City spots signs of gum disease, they can provide prompt treatment to fix the problem before it leads to periodontitis. In many cases, treatment might be as simple as making sure your little one becomes more diligent about brushing and flossing. A deep cleaning procedure might also be necessary. Your child’s dentist wants your precious little one to have excellent oral health. To accomplish this, they perform a thorough examination during dental visits. Dr. Derren Tippets leads the team at Treasured Teeth. He loves working with children and has experience in working with little ones of all ages. If it’s time for your child’s next cleaning and checkup, contact Treasured Teeth’s Commerce City office at 303-536-3837.